Ebeling et al. (2007) were the first to report discovery of MACS J1149.5+2223. They obtained a wealth of observations for the system including BIMA, Chandra ACIS-I, Subaru SuprimeCam BVRIz', CFHT MegaCam U, HST ACS F555W and F814W, and follow-up with Keck multiobject spectrometry (they later published these and more spectra in Ebeling et al. 2014). Of their 12 reported systems MACS J1149 had the highest reported velocity dispersion of ~1840 km/s (based on 68 redshifts; although this dispersion is likely biased high due to the merger state). The also reported an X-ray luminosity of ~18e44 ergs/s and kT~9 keV. Smith et al. 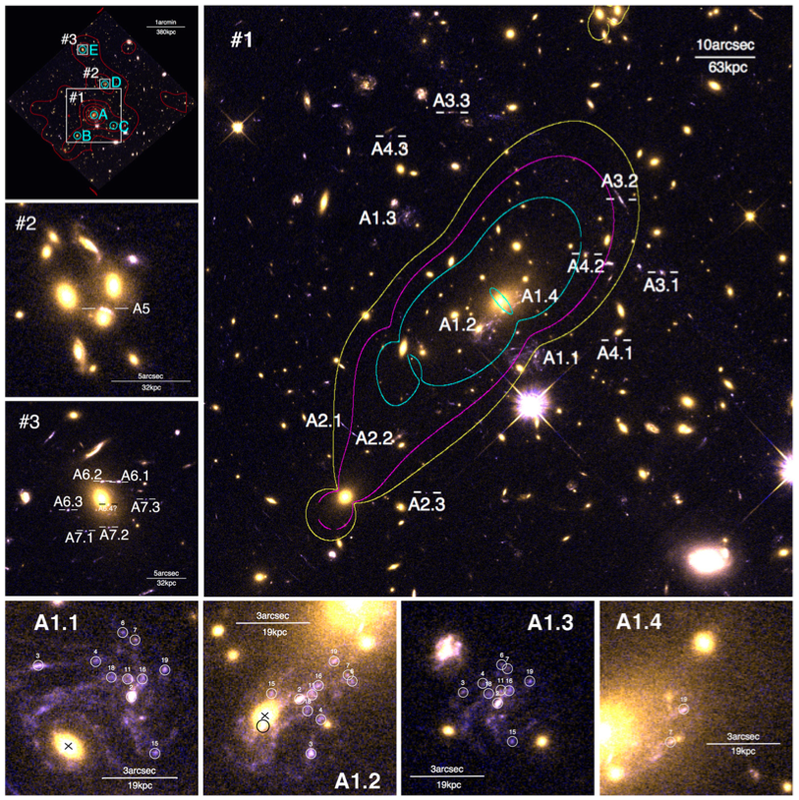 (2009) followed with a strong lensing analysis of the system based on HST ACS imaging and Keck spectroscopic confirmation of multiply imaged galaxies. They found that M_500 ~ 7e14 Msun and ~25% of the cluster mass is associated with substructures. 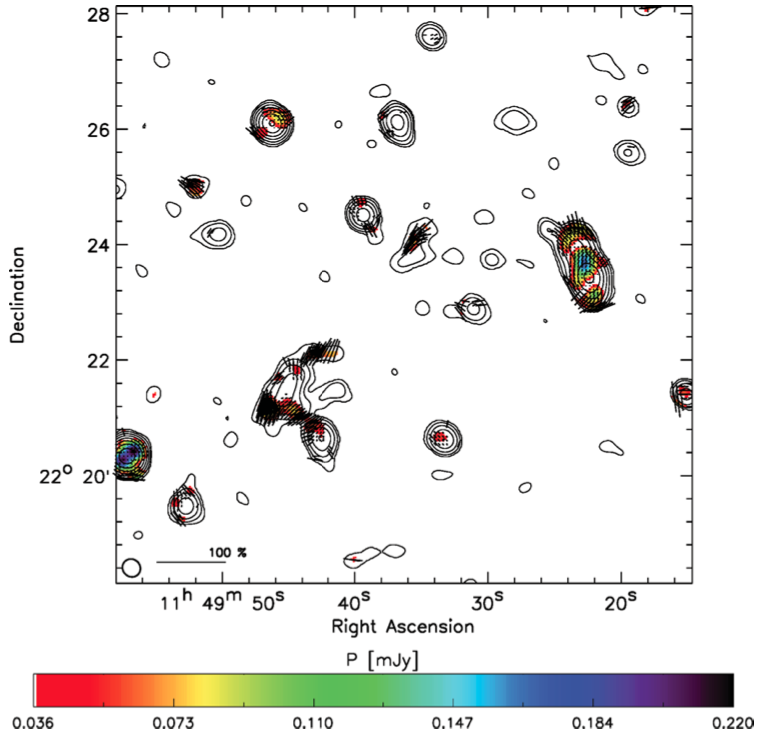 At the same time Zitrin & Broadhurst (2009) published an independent strong lensing analysis of the system and noted that this is was the most powerful cosmic lens at the time, which is one of the reasons it was later selected as one of the HST Frontier Fields. Zheng et al. (2012) used this powerful lens' magnification to discover a z~10 galaxy. 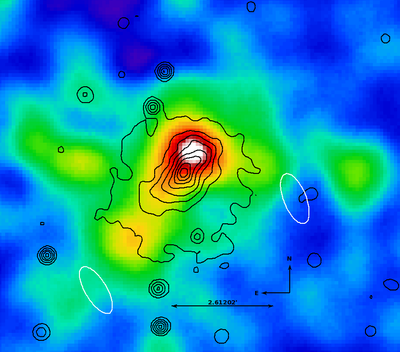 Using GMRT and VLA radio observations Bonafede et al (2012) reported evidence for two radio relics associated with the system and possibly a radio halo located near the peak of the X-ray gas distribution. While the found that the orientation of the relics' major axis are tangental with respect to the cluster center, as observed with most relics, they note that two relics are not symmetric with respect to the cluster center. 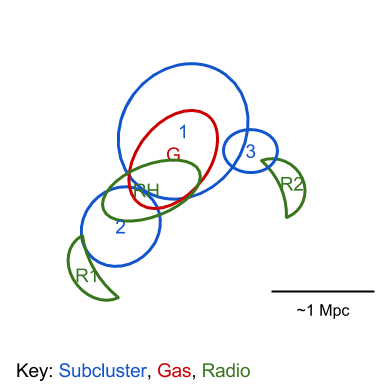 Only the SE relic is located along the merger axis (defined by the elongated cluster gas). The other relic is located west of the cluster. Bonafede et al. (2012) note that this is uncommon for double radio relic systems and suggest that this may be an indication of multiple ongoing mergers in the system. Our analysis of the cluster galaxy density distribution shows evidence for subclusters both SE and W of the cluster center, which is consistent with the interpretation that these relics are sourced by two separate mergers. Bonafede et al. (2012) measured a mean polarization of ~5%, but note that due to the beam size depolarization likely occurs and this measurement should be treated as a lower limit to the intrinsic polarization. Based on Subaru photometry, Chandra X-ray, and GMRT radio. Ebeling, H. et al., 2007. A Complete Sample of 12 Very X-Ray Luminous Galaxy Clusters at z> 0.5. The Astrophysical Journal, 661(1), pp.L33–L36. Zitrin, A. & Broadhurst, T., 2009. DISCOVERY OF THE LARGEST KNOWN LENSED IMAGES FORMED BY A CRITICALLY CONVERGENT LENSING CLUSTER. The Astrophysical Journal, 703(2), pp.L132–L136. Smith, G.P. et al., 2009. 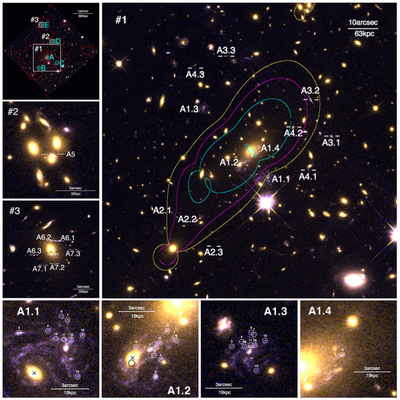 HUBBLE SPACE TELESCOPEOBSERVATIONS OF A SPECTACULAR NEW STRONG-LENSING GALAXY CLUSTER: MACS J1149.5+2223 AT z= 0.544. 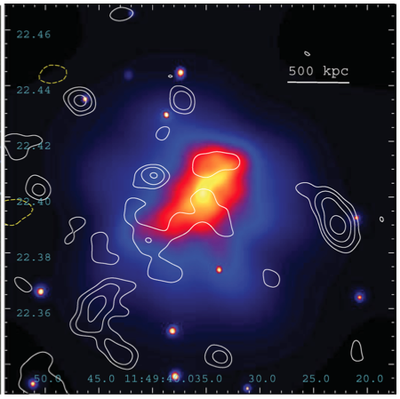 The Astrophysical Journal, 707(2), pp.L163–L168. Zheng, W. et al., 2012. A magnified young galaxy from about 500 million years after the Big Bang. Nature, 489(7416), pp.406–408. Ebeling, H., Ma, C.-J. & Barrett, E., 2014. Spectroscopic redshifts of galaxies within the Frontier Fields. eprint arXiv:1402.3769.